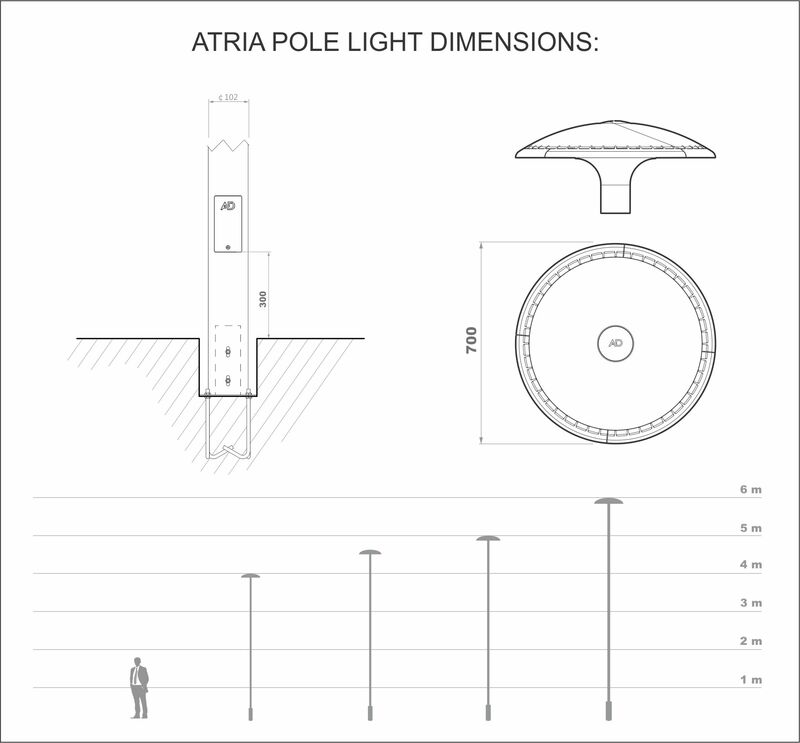 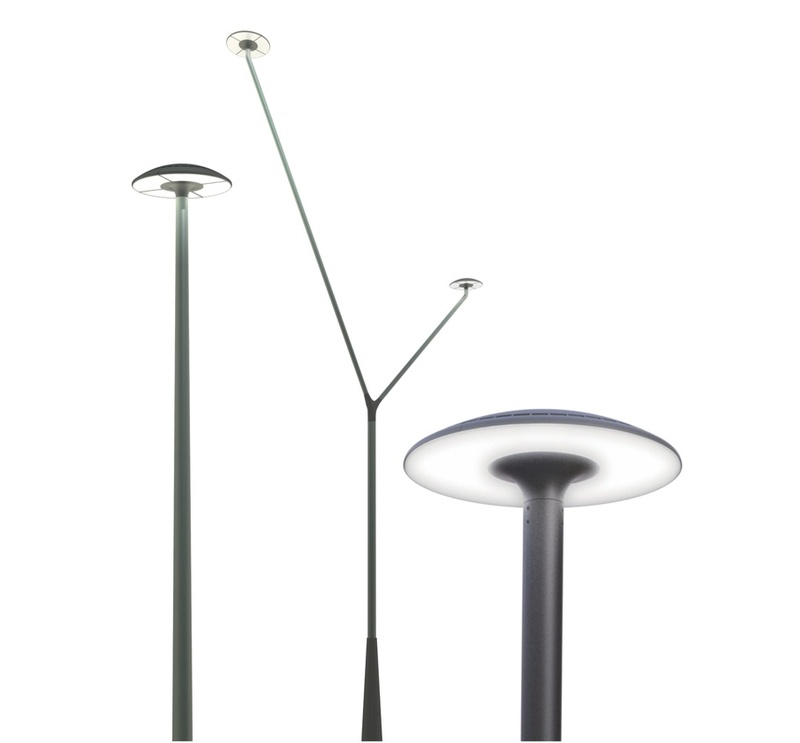 Uniform lighting and the effect of flying are the two main features of ATRIA, a light fitting designed to hover above without altering the urban scenery. 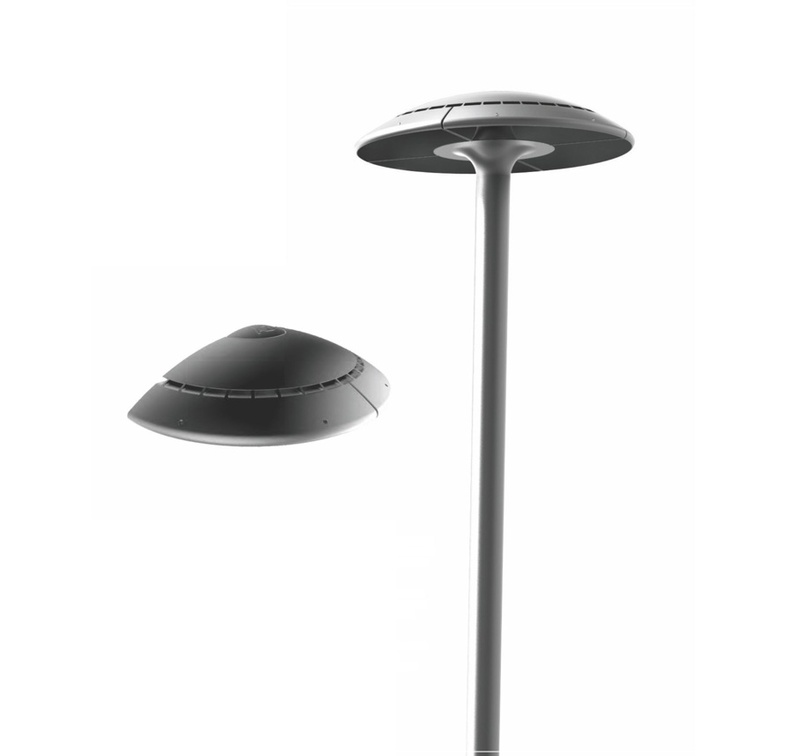 Its slim surface has been created to shine an all-enveloping, mysterious light that seems to beam up the pedestrian under the halo. Its simple geometry and injected aluminum structure give a feeling of lightness, buoyancy and weightlessness that merge seamlessly into the architecture of any city, casting a shadow reminiscent of the traditional iconography of UFOs and spaceships.